Summer vacation started and most of us would be planning for long drives with kids. Guess this is the right time to talk about child car seats and seat-belts. It is not a strictly-obeyed rule/law in some parts of the world to either have a car seat for a child or to wear seat-belts. Do we really need a law to insist us to keep ourselves and our kids protected ?? Never ever give it a chance on family safety. Accidents are unplanned and uninvited. Some impacts are irreversible too 🙁 You might be a wonderful driver, but the road safety is not just in your hands. Any dangerous driver or situation may put you at risk. Even minor accidents can cause major injuries, if not properly buckled up ! Keeping kids/babies at lap during car travel is not a good idea. It might sometimes worsen the situation. Even mom’s lap is not a protected place during car travel. You will lose your control during collision and you might collide with the kid or suffocate the kid or just crash the kid with your weight and the force of collision. 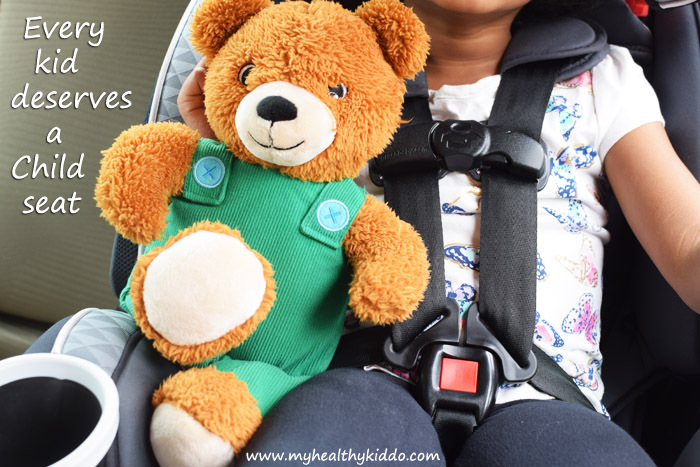 Car seat is the safest place for babies and kids, traveling in car. We spend hefty amount on clothes, toys and education. Just few more bucks for their safety is for sure, affordable. Get the right seat that fit their age and weight. Read the manual carefully and fix the seat as directed. Double check if the seat is properly latched and tethered. Also, do not give sharp objects like pen/pencil/straw in their hand as sudden brakes might cause eye injuries. Avoid any stuffs especially ornaments between seat belt and the body as seat belt holds the body so tight during collisions and the ornaments might puncture the body. Many parents tend to keep the child seat belts a bit loose assuming that they are complimenting comfort to their dear ones! Please make sure that pampering doesn’t interfere with safe parenting deeds. The fact is that kids will be more safe and comfortable as per recommended postures and fittings. Please follow the instructions in the child seat manual and fasten the seat belt accordingly. Do not let your child sit in front seat till he/she is a teenage(13+ age) passenger. The airbags are adult-friendly, but it might cause serious damages to kids. You might see it written in your car, if it has an airbag. If safety doesn’t want to take a backseat, let your kids occupy back seats for safer rides. And the middle back seat is more safer as the kid will be protected from side-collisions, if any. Children are too precious to be lost in the roads. Let the drive be long or short, buckle them up! Each person’s life is more important in a family. So, first fasten your seat-belt 🙂 No big-belly excuses for pregnant women. Every life matters… Click here to check out the government website to know how to wear seat belt while pregnant ? Always mind your kid’s arms/fingers before closing the car doors/windows. The window glass is actually so sharp than you might think. Attractive and quality helmets are available for bike riders. Even if you are cycle training your kid, pls make sure that they wear helmet and knee pads. In the pic is my 4.5 year old kid Nilaa buckled up in her child seat, posing with her favorite toy “Corduroy”!